Today we are gathered here to congratulate Victor Chu on winning the 2011 Global Economy Prize of the Kiel Institute. For those of you who can speak mandarin, you may find that the pronunciation of Victor's full name is quite different in mandarin as in Cantonese. Instead of Lap Lik Chu in Cantonese, we call him Li Li Zhu in mandarin, which repeats the word of Li. So he is "Double Li". This reminded me of other things associated with "doubles" that I would like to share with you. Firstly, I am here today wearing double hats. 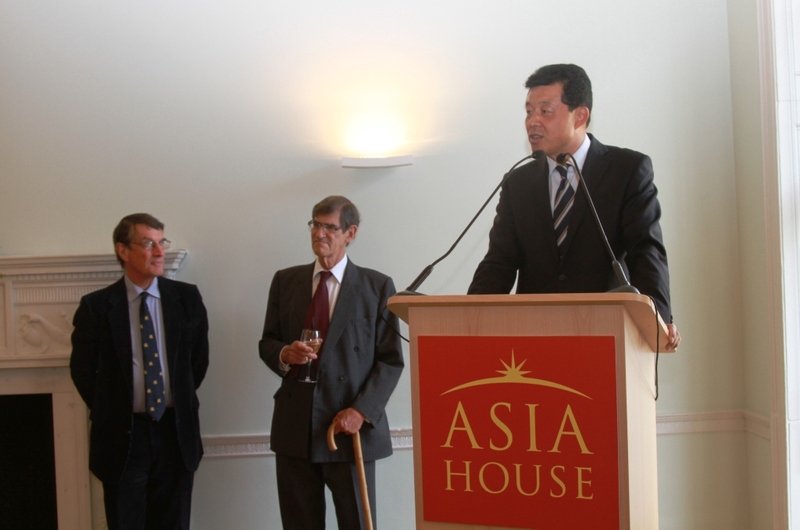 I am first of all the Chinese Ambassador to the UK, and I am particularly proud that Mr Chu has become the first Chinese to win this prize. I am also here as a friend of Victor. I lost count of how many times we have met, but I do remember the interesting, informative and enjoyable conversations we have had each time. I have benefited a lot from his insight and vision. Secondly, I wish to congratulate Mr Chu on his double achievements. His first achievement is as a successful entrepreneur. The Hong Kong-based First Eastern Investment Group he founded and capably chairs has, in the past two decades and more, developed into one of the leading investment companies in China, managing huge assets worldwide. But let us not forget that Mr Chu is also active in many other areas. He takes a keen interest in inter-cultural and international dialogue and exchanges, working tirelessly to build a bridge of understanding between China and the Western world. Thirdly, I take this opportunity to thank Mr Chu for his double contributions to the Chinese economy. His first contribution is in the area of promoting investments into China. His First Eastern Investment Group manages hundreds of projects in China to help Chinese businesses grow in strength. What is particularly worth mentioning is a 100 million US dollar investment by First Eastern last year as part of the 500 million US dollar China-UK fund to help British SMEs better explore the fast-growing Chinese market. His second contribution is in the area of greater openness of the Chinese economy. He helped Chinese state-owned enterprises to go public in Hong Kong. This is conducive to the growth of the Chinese capital markets. 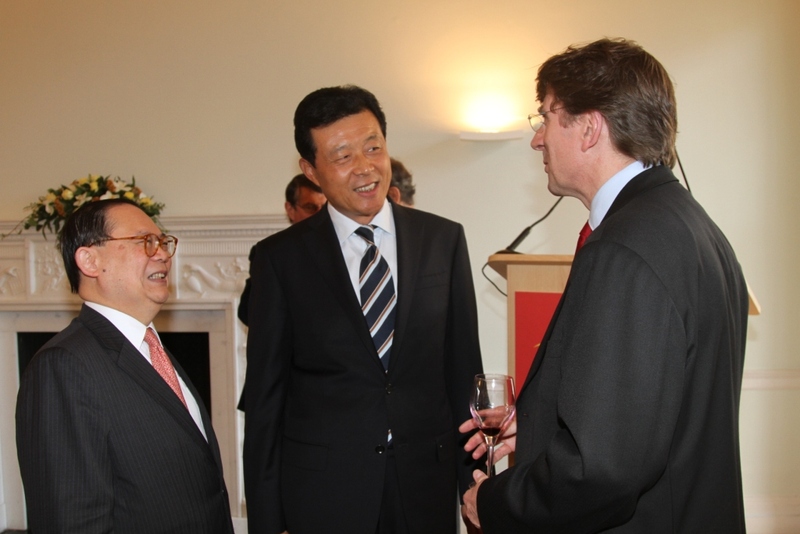 He actively called for the Summer Davos to be held in China. This initiative has created another platform for dialogue and interaction between China and the world. Let me conclude by saying that as far as I can see, Mr Victor Li Li Chu is a most deserving winner of this prestigious prize. Once again my warm congratulations.